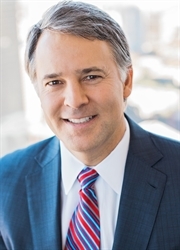 Will’s practice focuses on business litigation disputes in which he represents plaintiffs and defendants in matters tried in state and federal courts (including bankruptcy courts) or in arbitrated matters. Will’s clients typically pursue or defend against breach-of-contract claims, breach-of-fiduciary-duty claims, business torts (including securities fraud and other transactional fraud), claims arising from disputes between partners or LLC members or from mergers and acquisitions, legal malpractice claims, claims related to trade secret misappropriation, and ultra vires claims against officers or directors. Many of Will’s cases involve transactions related to securities, real estate, oil & gas, private equity, and intellectual property. Will also prosecutes and defends cases involving product-liability claims. Corporations and individuals have also retained him to defend them in federal white-collar criminal investigations and prosecutions conducted by the Department of Justice, Securities and Exchange Commission, and Environmental Protection Agency. Apart from his trial practice, Will has taken the lead in briefing and arguing cases before the Texas appellate courts, the Supreme Court of Texas, and the Fifth Circuit Court of Appeals. “In our case, we battled two large, aggressive law firms and a New York hedge fund, and Will was constantly developing positions and making arguments in court that kept us two steps ahead.” - Jim Wikert, CEO, Paradigm Air Carriers, Inc.
“Will's arguments and presentation of evidence in the courtroom outflanked and defeated a competing company’s improper attempt to destroy our company, which we had built through years of hard work.” - Cliff Wallach, CEO, RNK Distributing, Inc.
Co-leader of trial team that zeroed out claims against client and co-defendant and obtained $2.7-million judgment on client's and co-defendant's counterclaims in dispute among partners in a limited partnership over development of $35-million apartment complex. Successfully argued to Dallas Court of Appeals in defense of legal-malpractice claims seeking over $100 million from Dallas law firm, resulting in affirmation of trial court’s judgment eliminating all claims. Successfully argued to Dallas Court of Appeals in defense of breach-of-fiduciary-duty claims seeking several million dollars from national law firm, resulting in affirmation of trial court’s judgment eliminating all claims. Led defense against libel claims seeking millions of dollars in alleged actual and exemplary damages from individual client and obtained dismissal of case and judgment requiring payment of client’s attorneys’ fees. Obtained no-liability defense verdict favoring Global 500 corporation in jury trial involving commercial disputes and obtained verdict for 100% of damages sought on client’s counterclaims. Led defense on behalf of national law firm against claims alleging violations of Texas Securities Act; argued and obtained summary judgment eliminating all claims. Led prosecution of securities fraud case brought on behalf of individual against international corporation, its officers and directors, and it underwriters in connection with an IPO; obtained $5.25 million settlement (net to the client, appx. $3.75 million). Led prosecution of claims for breach of fiduciary duty on behalf of one of world’s largest corporations, argued against and defeated multiple summary judgment motions brought against client, and obtained favorable confidential settlement. Served as lead lawyer prosecuting claims through discovery, argued and obtained summary judgment, then participated at trial in obtaining jury verdict awarding law-firm client $3.1 million (100% of its requested actual damages), plus attorney’s fees, on breach-of-contract claim related to patent licensing royalties. Defended securities arbitration against broker-dealer where panel awarded claimants less than .05% (.005) of $9 million in damages sought. On behalf of corporate client and its officers/directors, argued and obtained summary judgment against corporate plaintiff’s securities-related claims, reducing alleged damages from $35 million to $5 million and facilitating a favorable confidential settlement. Led defense of corporation that managed physician’s practice groups against numerous plaintiffs asserting claims for fraud, tortious interference, and breach of contract, and seeking over $60 million in actual and exemplary damages, resulting in nuisance-value settlement below amount plaintiffs paid in attorney’s fees. Led defense of case where plaintiff claimed to be defendants’ joint-venture partner in highly successful emergency medical care franchise and sought proceeds from franchise’ sale to private equity firm, resulting in nuisance-value settlement below 1% of claimed damages. Led defense of energy company and its members against claims under the Texas Securities Act, resulting in a confidential settlement. Obtained favorable confidential settlement as lead lawyer in suit brought on behalf of client, a law firm, arising from agreement to prosecute infringement claims related to patents owned by U.S. corporation and licensed to Oxford University. Co-lead lawyer in bench trial involving partnership dispute related to speed boat dealership where no-liability judgment favoring client was obtained along with judgment for 100% of damages sought on client’s counterclaims. Primary lawyer involved in defending state-court claims brought against client where plaintiff, an alleged joint-venture partner, sought millions of dollars in patent licensing royalties; argued and obtained summary judgment eliminating all claims. Argued to Dallas Court of Appeals and denied adversary’s attempt to obtain case-dispositive mandamus relief in suit involving securities fraud claims. Defended arbitration claims for client whose former partner sought to recover millions of dollars in patent licensing royalties from him through claims for breach of contract and breach of fiduciary duty; after arbitration hearing, arbitrator found no liability and rejected all claims. Primary lawyer involved in prosecuting claims against insurance carrier arising from denial of coverage under directors and officers insurance policy, resulting in clients recovering $1 million through settlement. Led defense of federal-court legal malpractice case on behalf of Dallas-based law firm against receiver who sought $136 million in damages; obtained summary judgment eliminating receiver’s primary claims, which resulted in nuisance-value settlement for less than half of receiver’s litigation costs and attorney’s fees. Led defense of state-court legal malpractice case on behalf of Dallas-based law firm and successfully argued for summary judgment, thereby eliminating claims on which plaintiff claimed his damages exceeded $140 million. Led defense of state-court case on behalf of national law firm and successfully argued for summary judgment, thereby eliminating claims on which plaintiff sought approximately $2 million in actual damages, plus exemplary damages. Led defense of case where plaintiff claimed Dallas-based firm negligently advised him regarding litigation and arbitration of certain securities-related claims, allegedly resulting in over $2.7 million in damages; argued, briefed, and obtained full and final summary judgment. Briefed summary judgment motion and obtained dismissal of claims against Dallas-based law firm in case where plaintiff sought several million dollars in recoveries. Prosecuted claims relating to mineral interests in South Texas’ Eagle Ford region and obtained favorable, confidential settlement. Defended shale exploration partnership and its officers/directors in bankruptcy case related to disputes arising from joint-venture. Prosecuted fraud claims for oil-and-gas development company in connection with mineral interests in South Texas’ Eagle Ford region. Defended Fortune 100 client in oil field wrongful death/product liability case, obtaining dismissal of all claims against client. Prosecuted wrongful death claims on behalf of widow whose husband, an airplane mechanic, was killed due to design defect in plane, resulting in favorable confidential settlement. Led Fortune 100 client’s defense against federal-court suit alleging client had defectively designed helmet plaintiff was wearing when he suffered catastrophic injury, resulting in satisfactory confidential settlement. As lead lawyer in defense of software distributor in bet-the-company litigation, obtained multiple TROs and a temporary injunction, thereby thwarting former joint-venture partner’s attempt to destroy key product line. Tried trade secret misappropriation claims to arbitration panel on behalf of national broker-dealer firm, causing competing/adverse firm to offer favorable confidential settlement before final award was issued. On behalf of energy company’s audit committee, led internal investigation of anonymous allegations that subsidiary and its officers had engaged in insider trading, workplace safety violations, and environmental contamination. Represented and conducted internal investigation for Global 500 corporation in connection with 2-year criminal investigation by Justice Department and EPA related to alleged violations of federal environmental laws, which ended without indictment. Defended individual client who was indicted by Department of Justice on allegations of insider trading, resulting in a satisfactory plea bargain. Panelist for ‘Connecting with Dallas Jurors’ (Dallas Bar Association, May 2018).